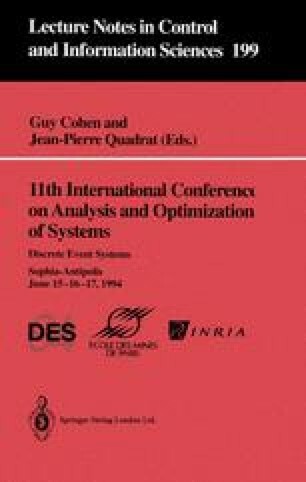 This paper presented DMOD, a formalization of the popular discrete-event modeling and simulation technique. The paper showed how DMOD could be used to model and simulate a simple hybrid system. In particular, discrete-events, continuous time, and continuous state are all conveniently modeled. The paper also outlined a technique called symbolic simulation and showed how one could perform limited, yet useful forms of reasoning with this technique. Thus, symbolic DMOD represents a significant step beyond the discrete-event technique. The main limitation of DMOD is that one cannot reason in any straightforward way when symbolic histories are infinite. These arise in oscillating systems e.g. a room thermostat which switches heat on and off infinitely often e.g.[ACH+]. However, the building blocks for doing such reasoning are present in symbolic simulation and Prolog, and we expect to develop appropriate techniques in the near future.